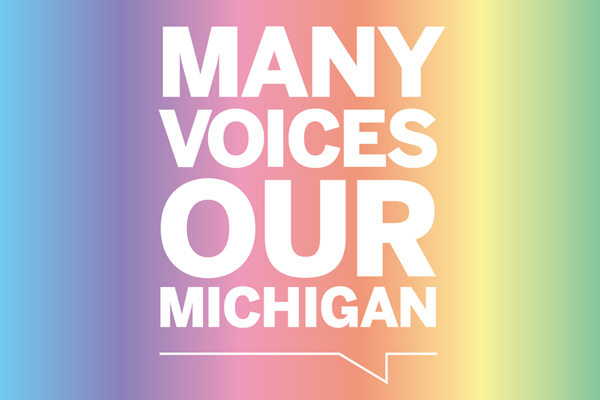 In fall of 2015, University of Michigan President Mark Schlissel spearheaded a renewed focus on Diversity, Equity, and Inclusion (DEI) that resulted in the development of a University-wide strategic plan. 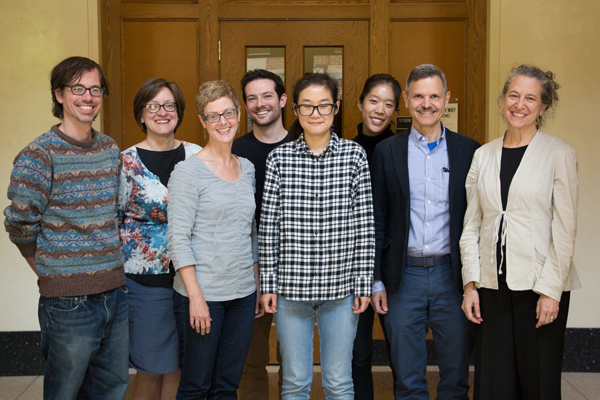 In year three of the plan, the College of LSA is highlighting inclusive teaching and learning pedagogies, recognizing the classroom as an important site of student experiences of campus climate linked to diversity, equity, and inclusion. Its goal is to provide 80% of LSA’s instructional faculty with training in inclusive teaching and learning pedagogies by 2021. Inclusive teaching involves deliberately cultivating a learning environment where all students are treated equitably, have equal access to learning, and feel welcome, valued, and supported in their learning. Such teaching attends to student identities and seeks to change the ways systemic inequalities shape dynamics in teaching-learning spaces, affect individuals experiences of those spaces, and influence course and curricular design. This definition is relevant in every discipline and requires intentional practice over time. It involves setting high standards and communicating clear paths to success for all students; being as transparent as possible about expectations and norms; and creating structured opportunities for students to learn about and from each other. 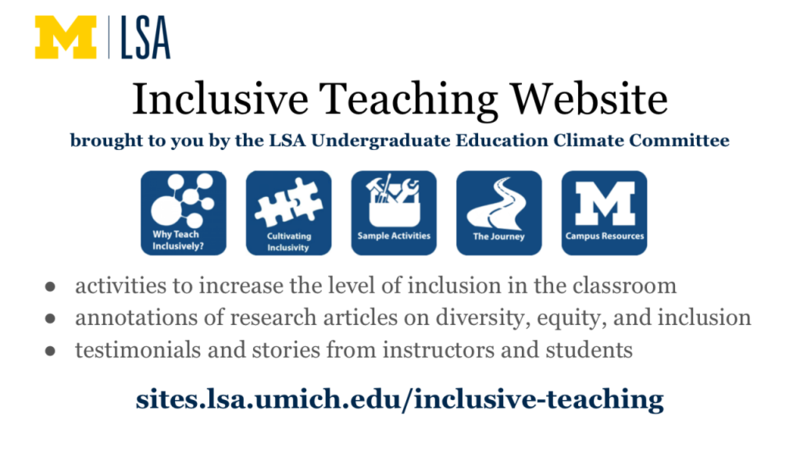 The LSA Campus Climate Committee’s Inclusive Teaching website (created and maintained with support from the LSA Dean’s Office and CRLT) represents one initiative to share classroom activities, syllabus materials, and student and instructor perspectives related to campus climate and inclusive classrooms. 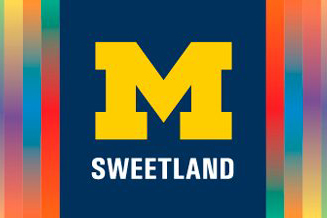 Sweetland’s Associate Director Naomi Silver and LSA Assistant Dean Kelly Maxwell are the current leads on the project, and current and former Sweetland faculty Carol Tell and Paul Barron have also played a substantial role. Over the last year, the site has received 59K views, from users on every continent, with most finding the site through an organic search. The site continues to add new materials to reach instructors in varied fields, and plans more extensive user testing in the Winter 2019 semester.